I love potatoes and could easily eat them with every meal. 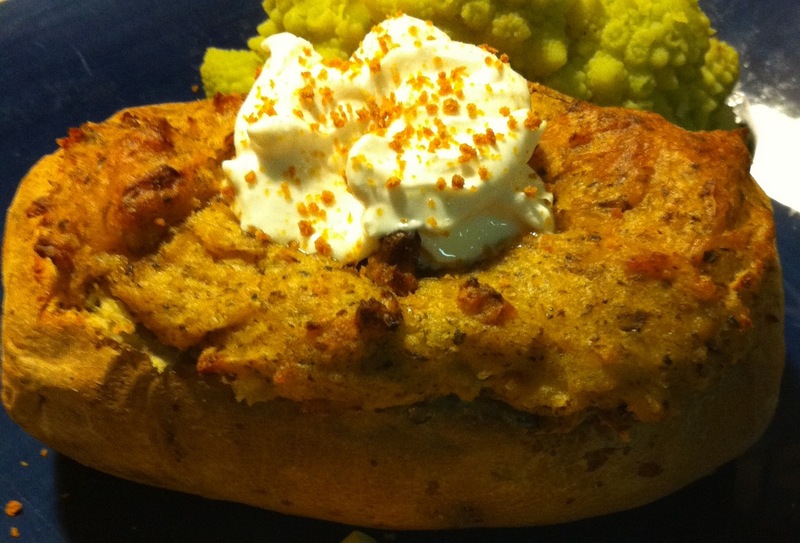 My favorite has always been a double baked potato for it can make any entree complete or be a stand alone meal. After many attempts I have finally come up with a vegan option that I am willing to stand behind. Saute mushrooms in 1 tbsp butter. 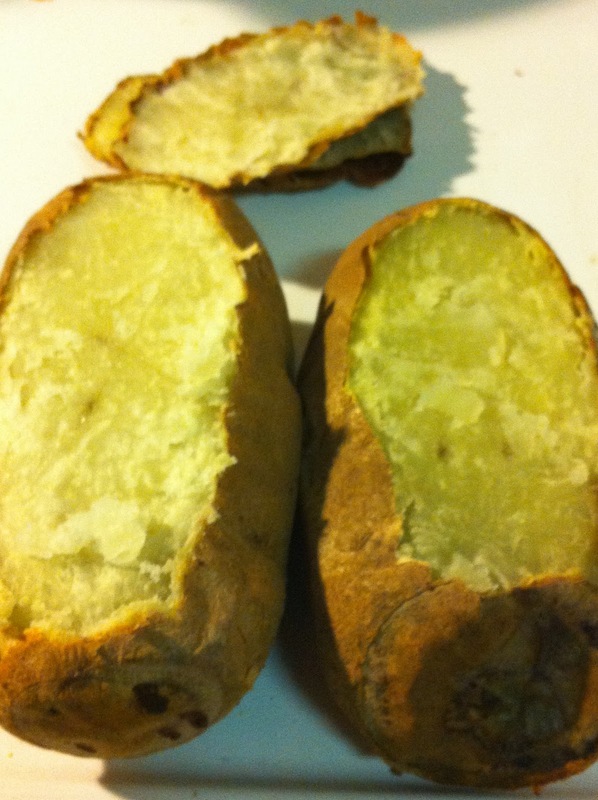 Cut off top layer of potato. This can be made in a food processor for a creamier potato or with a potato masher which will come out with a lumpier texture. Which ever method you choose gently scoop the inside of potato out into bowl or food processor so that only the skin is left. Add all remaining ingredients including sauteed mushrooms. Blend or mash until well mixed. Stuff mixture back into potato skins and bake on a cookie sheet for 40 minutes. Add vegan sour cream, vegan bacon bits or chives if you choose. Serve. Gallery | This entry was posted in Gluten Free, Main Course, Sides. Bookmark the permalink.